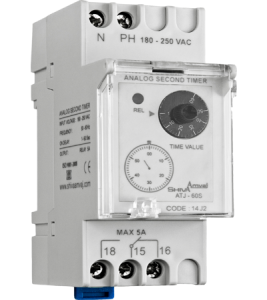 Shiva Amvaj Analog Second Timer features small size, accurate and stable repetition and a security lock (to prevent unauthorized access or tampering). It acts as a connect delay timer. It is suited to commercial, residential, and industrial applications.